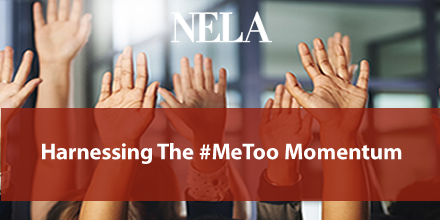 In carrying out our mission to serve lawyers who advocate for equality and justice in the American workplace, NELA provides exceptional opportunities for professional development through networking, educational programs, publications, and technical support. Our top-notch continuing legal education programs are designed by NELA members especially for employee rights advocates. Check back for information about our 2019 Fall Seminar. For information about exhibitor and sponsorship opportunities, please contact Maria Rapier, Membership Manager & CLE Project Coordinator at mrapier@nelahq.org or (415) 296-7629. If you are interested in purchasing materials from our previous continuing legal education events, please click an icon below.